Many people think classical music is on the wane. I certainly read all kinds of articles on the decline of classical music, and yet when I start talking to people who say they don’t like classical music, it turns out that there is some classical music they don’t like, and that is what they focus on as classical music. And too many people are timid about taking classical music lessons, because they are afraid that they are ordinary, not “talented” or “gifted.” And then I have dozens of parents each year tell me how gifted their child is because they can repeat back a song they have heard, or can pick out a tune on the piano. These two things are related, and they both contribute to the decline of classical music. However, classical music once was the province of the perfectly ordinary person, just as some other form of music speaks to those people today. 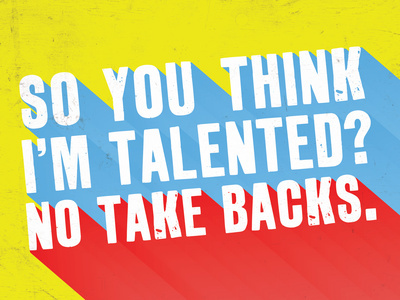 I think the words “talented” and “gifted” are the culprits here. Both words set playing classical music apart as something not belonging to ordinary people. Once we banish the words “talented” and “gifted” and replace them with “studious,” “hard-working,” “persevering,” we may find that classical music once again is within the range of ordinary people, both in understanding and enjoying the music, and in performing it. So if you run a classical music organization, I urge you: go out in the streets and the schools. Expose people to classical music, and encourage them to give it a try, regardless of “talent.” You will be amazed at the results. If you have the possibility in your arts organization, feature local singers and instrumental musicians whenever possible, even if just for a few nights a year. It’s astonishing how many people can develop the skills to be professional musicians.